So, um, it’s been four years since wrote my first Top Picks series. That’s, like, 20 years in homeschool curriculum years (which are longer than dog years) considering all the new and exciting stuff that comes out each year. I thought it was time for an update and what better place to start than middle school, since we’re firmly entrenched in all things middle school at my house? So, here you go: The Weird, Unsocialized Homeschoolers Top Picks for Middle School. It may have been four years, but my top picks for math are still Horizons and Teaching Textbooks. Horizons math now goes through Algebra I. If they had a PC version through high school, they would be my top pick. As it stands, we really enjoy Teaching Textbooks. I love the the kids can enjoy the benefit of having each lesson explained to them, while I can enjoy the benefit of math being a subject that they can each do independently – and the grading is done for me! For my money, two of the most solid writing programs you can buy are WriteShop and Institute for Excellence in Writing. We have used and reviewed both – IEW review and WriteShop review. People often ask me which is better. I’ve answered that question in detail in my comparison of IEW and WriteShop. The short answer, though, is you really can’t go wrong with either. My kids prefer WriteShop, but both are absolutely excellent programs that will meet your students’ writing needs all the way through high school. Our love affair with Easy Grammar and Daily Grams continues. We’ve used them longer than just about any curriculum that we currently use and I foresee us using them all the way through high school. We’re currently on Easy Grammar Plus and grade level Daily Grams books. Once we finish Plus, we’ll continue on through the Ultimate Series. I’ve answered many questions about Easy Grammar over the years. If you’ve got questions, check to see if I may have answered it. We big-giant-puffy-heart love All About Spelling. I can’t say enough good things about it. It’s super-easy for the teaching parent and it’s the best multi-sensory, logical, makes-sense-for-a-dyslexic-kid spelling program we’ve ever used. You can read my All About Spelling review or find out how All About Spelling works for dyslexic students. Y’all probably also know of my ongoing love affair with the Trail Guide to Learning series, which is a history-based, all-inclusive curriculum. Yeah, I never thought I’d love an all-inclusive curriculum either, but I do – we do! We started with Paths of Settlement, which is intended for 4th-6th grades. The optional Middle School Supplement bumps it up to cover through 8th grade. We’ve finished Paths of Progress, which is for 5th-7th grades, before Christmas. It has a High School Extension which bumps it up to 9th grade. We’re anxiously awaiting the first volume in the middle school series, which will cover ancient history. You can read my Paths of Settlement review and my Paths of Progress review. Brianna also really enjoyed Real Science 4 Kids chemistry. It’s colorful, detailed illustrations and easy-to-understand explanations make it another Top Pick for Science. Note: REAL Science Odyssey and Real Science 4 Kids are often confused, but they are two different science programs. We don’t really have any particular Bible study curriculum that we use. However, the scripture memory system from Simply Charlotte Mason is what I would identity as the most long-standing tool in our homeschool arsenal. We’ve used it every day for years and I can’t recommend this simple, yet effective system highly enough. For Bible study, the simplest tool we’ve found is the SOAP method. I also highly recommend the book, Understanding World Religions in 15 Minutes a Day for a good overview of a variety of faiths and Christian Theology and Ancient Polytheism by Brimwood Press for worldview study. If you read my review of Zeezok’s music appreciation course, you won’t be surprised to find it here. Grab-and-go curriculum that includes everything I need to use it is nearly always going to get my vote. Even though the course is intended for elementary, we’ve found that it works well for middle school. A lot of middle school kids probably won’t want to do the lapbooks, but there is enough great information in the student workbooks that you could skip the lapbooks. You could also go over the lapbook information orally or use it as a starting point for further study. These great products make up my revised Top Picks list for 2014. You can view my Top Picks for Fifth and Sixth Grades and my Top Picks for Seventh and Eighth Grades from 2010. All of the products I showcased then are still great choices. However, different choices work better for different kids and I love trying new curriculum as it becomes available. I’ll probably update the middle elementary grades as I have time since they don’t include Trail Guide to Learning, which is perfect for 3rd grade and up. The early elementary grades will not be updated since I don’t have kids using those products anymore and I’ll begin to update high school next year since we’ll be starting High School Round 2 in the fall. Do you have a product or service that you’d like to have reviewed on Weird, Unsocialized Homeschoolers? Visit my Advertising and Social Media Management page for more details (there is a section on reviews). I love the Music Appreciation Option. Also, I have my middle grader using Education-Portal.com Music course that’s online and free. 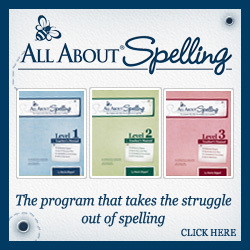 Spelling is a challenge and I was hoping to find an online based program for it since I have limited time to administer school as I work outside the home. However, I’ve heard good things about All About Spelling. Yea! I’m so excited to read this. I’m bookmarking this page so I can come back when I have more time. We have been using Teaching Textbooks for my now 5th grader, for 2 years. Recently she picked up a copy of Horizons 5th grade while we were in Mardel, and told me that TT is quite a bit behind Horizons as far as the work she is doing. I have heard they were about 1/2 year behind, but was wondering if you found this to also be true? She is wanting to switch to Horizons, which my Kindergarten aged daughter is using, and she loves it. I imagine that is true, but not necessarily because TT is behind, but because Horizons is ahead. We noticed this when we switched from Saxon to Horizons way back when my oldest was going into 3rd grade. We had to start about midway through Horizon’s 2nd grade level and my daughter was not behind in Saxon. When my younger kids switched from Horizon to TT, they placed ahead of their current (at that time) grade levels and, because of that, continue to work ahead in TT. Thanks Kris…I’ve visited your post comparing IEW to Write Shop several times. For now we are still with IEW, my kids like the KWO even though I don’t. Reminding myself to stick with what they like… Thanks for sharing at the Finishing Strong Link-up! You’re a wise mom to stick with something you don’t particularly like because your kids do like it. Sometimes that’s hard, but finding the curriculum that’s a good fit for them is the important part. I enjoy the list as I am also doing curriculum comparison for next academic year when I will have a couple of middle school year sons. Thank you very much for sharing. I am currently looking for middle school curriculum for next year (where has time gone…middle school?!?!). In the Paths of Progress website description, it claims to be History AND Science, yet you have a separate science. Is their science weak? I have a hard time wrapping my mind around spending $160 (at least, more if I include my second child if I combine them), for just ONE subject. Thoughts?? Hi, Liz. Each of the Trail Guide to Learning sets actually covers everything you need except math. So, they aren’t just history and science. They also cover language arts, geography, and more. We began the series mid-year when my kids were in 4th and 6th grades, so we wound up finishing mid-year when they were both in middle school. That’s why I included some of our other favorites for that age because we used them after we finished Paths of Progress. We didn’t use all of that at the same time.